This gal has the looks, temperament, and ability to glide with style! She is easy to haul, trim and catch. 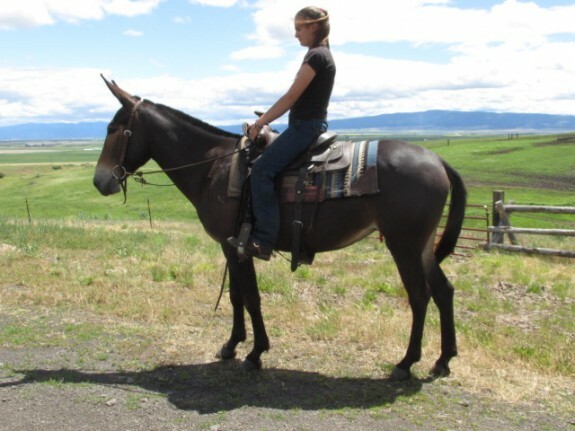 Rose is a 15 hand solid riding mule. 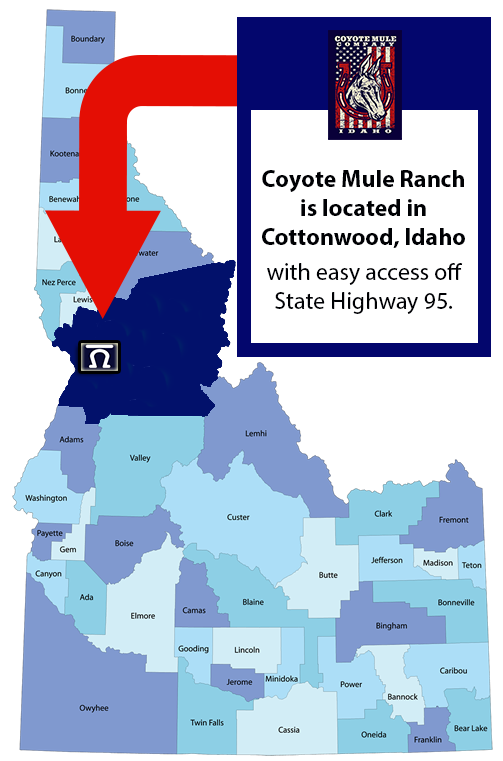 From the mountains of Bend Oregon to Mule Mania in .....Follow along for MORE Details & Photos. 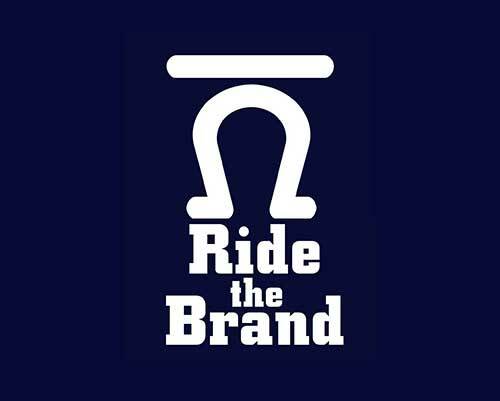 Cody – 9 year old 14 Hand, pretty molly, rides like a dream! Cody is a 14 hand, quarter type molly mule. She is 9 years old and very mature and confident. She is easy to catch good with her feet, and to clip. This mule is not herd bound and will ride off by .....Follow along for MORE Details & Photos. 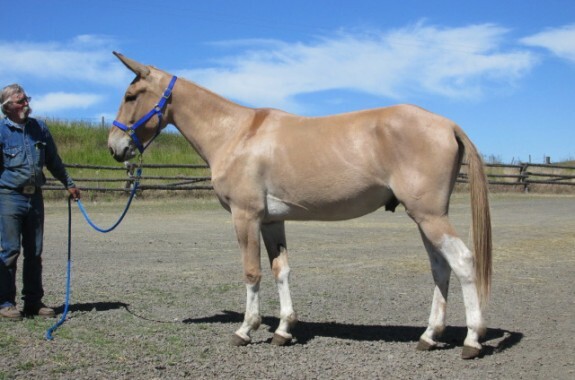 Cool Hand Luke – 5 yr old john mule, palomino with four white socks, rides & good looks combined! 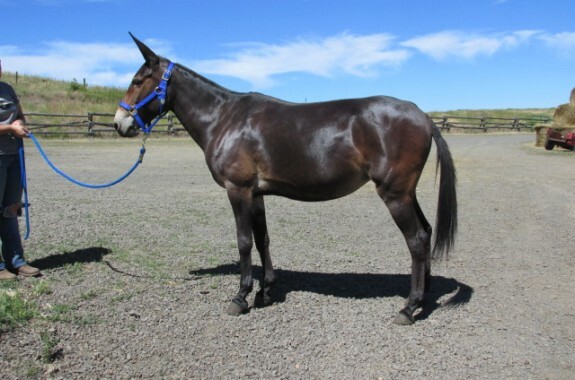 Luke is a good minded riding mule, he is athletic with the ability to perform in the arena with leg cues, easy lope, neck rein for western pleasure. With his long legs he can also cover some ground .....Follow along for MORE Details & Photos. 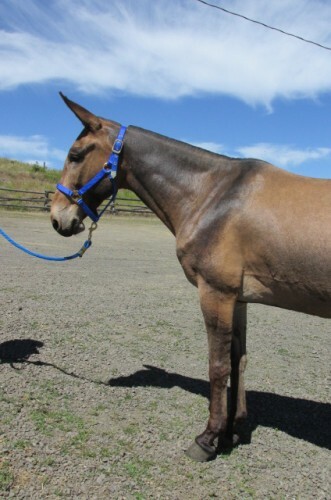 Slim – 9 yr old quarter type, 14.3 Hand, line back dun, john mule, rides & packs. Slim is a good looking easy going guy. He rides willing and will go wherever you point him. Easy to catch, quiet to be around, 14.3 Hands for easy saddling, mounting and dismounting. He is good .....Follow along for MORE Details & Photos.